Today, you will not have to live with that pain anymore. Thanks to the concerted efforts of a team of top physicians and medical engineers, Spinal Decompression was developed to effectively treat lower back pain and sciatica resulting from herniated or deteriorated discs. Spinal Decompression not only significantly reduces back pain in many patients, but also enables the majority of patients to return to more active lifestyles. 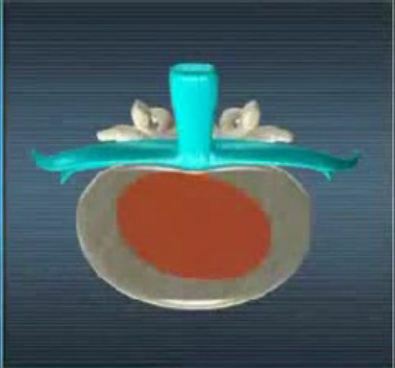 The treatment motion is computer controlled to provide gentle and painless decompression of the injured spinal discs. Decompression techniques separate slowly and cycle between brief moments of pulling and relaxing (oscillation). This reduces protective muscle spasm that contributed to the poor success rate of outdated 'traction' techniques. 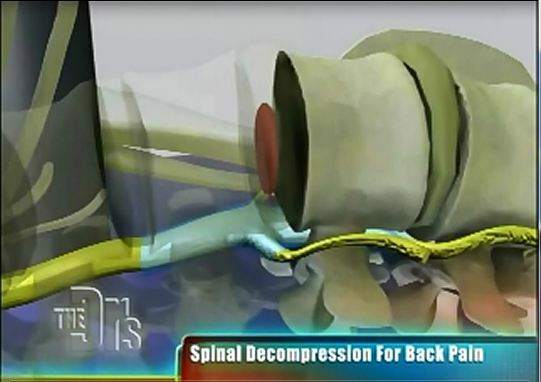 Spinal Decompression Therapy incorporates advanced angulated elongation methods to target specific discs of the spine (for example: L5/S1 at the base of the spine). "Angulated Elongation" refers to the angle at which the healing decompression force is applied. This allows the treatment to rely less on brute force (separating multiple levels with high force) and more on finesse (using less decompressive force to focus on a single spinal segment) to rehabilitate individual spinal discs.